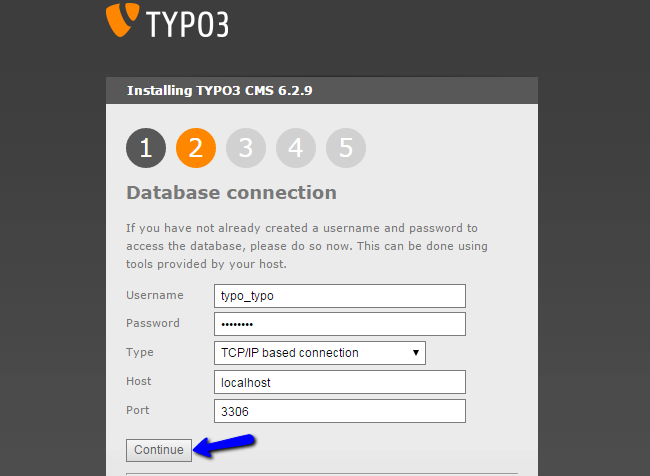 This tutorial will review the manual installation of TYPO3 on your account. Although it provides more configuration options during the install, there is still an easier way to complete it with an automated Softaculous TYPO3 installation. To help you get started with TYPO3 our Technical Support team provides Free TYPO3 Installation. The first step is to download the application from the official TYPO3 website. 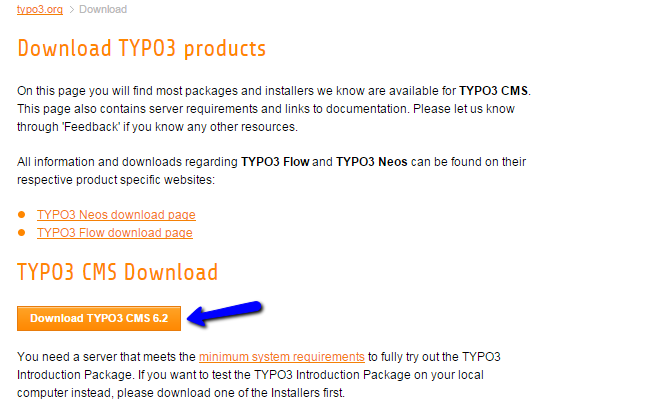 There is a download button for the latest release in the TYPO3 CMS Download section on the page. Make sure that you download the latest stable release as it will provide the best features of TYPO3 for the development of your website. 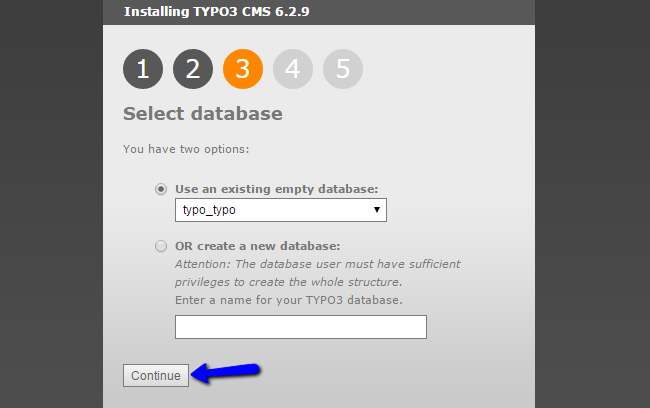 The next step is to prepare the installation files of TYPO3 on your account. First, extract the contents of the archive that you downloaded from the official website. This will create a folder on your local computer, which includes all what you need to install TYPO3. You need to upload the contents of this folder to your account on the server. Also, it is important to decide where you wish to install the application. If you would like to access it via your primary domain, this indicates that you need to upload the TYPO3 files directly within the public_html/ directory of your account. However, if you are looking for a different configuration, this location may be different as well. 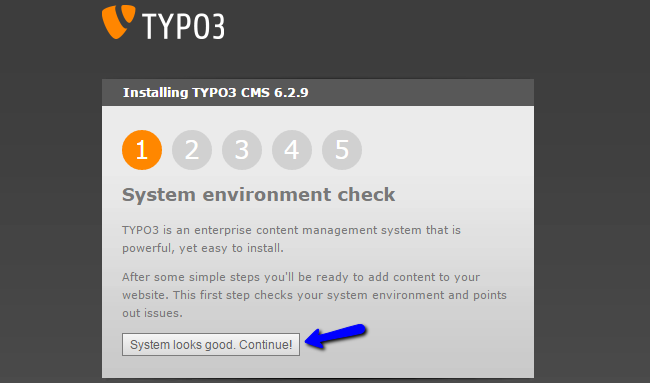 The next step is to initiate the actual installation of TYPO3 on your account. 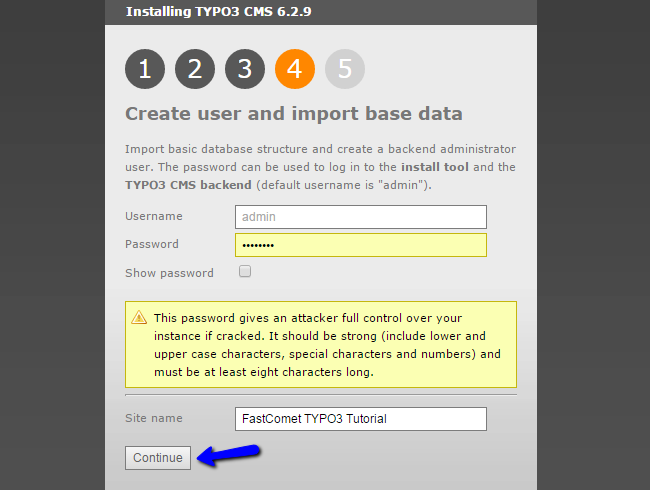 For this purpose, you need to access the location, where you have uploaded the TYPO3 installation files. To initiate the installation, you first need to create a file called "FIRST_INSTALL" in the same directory, where you have uploaded your TYPO3 files. This is a security check that will allow you to proceed with the process. You can create the file easily using FTP or using the File Manager service in your cPanel account. The first step of the installation process is the system check. TYPO3 will inspect the hosting environment to make sure that it meets the minimum requirements of the application. All FastComet servers are fully optimized for TYPO3 websites and you will not experience any difficulties on this step. The second step is the database connection. You will need a clear database and a user assigned to it with full privileges. Username: Enter your database user. Password: Enter the password for your user. Type: Choose the type of the connection to your database. Port: Leave the default 3306 port value. When you are ready with the details for your database, click on the Continue button to proceed with the installation. On the next step, you have the option to choose the existing new database that you have created in the previous step. Simply select it from the drop-down box and click on Continue. The next step allows you to set the name of your website and create administrative account. Make sure that you keep a note of the admin details, as you will use them to manage your new website. The installation of TYPO3 is now completed successfully. You have the option to download any of the available TYPO3 distributions, which will install sample data for your website. However, this step is intended for new TYPO3 users that require assistance to guide them through the application's features.